ProTrainings is a UK company offering online CPR, First Aid, Infection Control, Manual Handling, and Instructor Training for the UK and Europe. The training curriculum offered by ProTrainings was created as a joint effort between the ITG Instructor Training Ltd in the UK and ProTrainings, LLC in the USA. Over the past seven years, these two companies have certified more than 250,000 individuals. Our mission begins and ends with saving lives. This is done by creating training programs that increase the amount of information remembered, are easily available, and give providers the confidence to act decisively and knowledgeably when an emergency occurs. Our courses offer this while limiting the time professionals spend away from family or work. ProTrainings solutions also help to solve large-scale workplace problems by replacing old methods of training with new, cost effective methods of training. 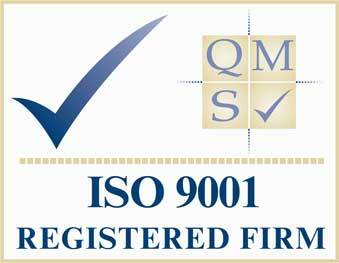 ProTrainings is a ISO 9001 registered firm and have a commitment to quality. Do you feel like health and safety training is an inconvenient distraction in the workplace? Do you sometimes feel like health and safety compliance is a frustrating drain on resources when it forces workers to stop or delay their work in order to receive training? If so, we understand, because health and safety training isn’t what you do. It’s what we do. ProTrainings.uk is a combination of professional training expertise with over half a million global clients. And while you may not get excited about health and safety training, we do. So if you’re looking for training that leaves students with blank stares, a piece of paper and little comprehension, we would suggest you look to get training elsewhere. If you are serious about meeting HSE, CQC and other compliance requirements, ProTrainings.uk has a mix of elearning, blended and classroom based learning that will provide you with the most effective training solution available. These tools work together to provide you with the training you need often for less than you are currently paying. Health & Safety doesn’t have to be a drain on time and resources. Begin your partnership with ProTrainings.uk today! Perhaps you’ll become as passionate about health & safety as we are.